‘Mr Stickybeak is our favourite penguin. He’s a real show-off and he’s always into everything. He sings the loudest, and dances the best. He’s a very adventurous little penguin. One night he decided he didn’t want to go to bed, he’d rather go out and party. A passerby found Stickybeak right across the road from Manly Wharf, standing outside the Flamenco Bar! Fortunately the man knew where the penguins lived, so he threw his jacket over Stickybeak (so as not to get bitten) and he carried him back to the boardwalk.’ Angelika Treichler, penguin warden. This is just one of the stories told to me by the penguin wardens who look after and protect the endangered colony of fairy penguins living in Manly. This is the only colony of little penguins living on the mainland in southern Australia, and they live right in the heart of this popular and well-populated suburb of Sydney, where they provide entertainment for residents and tourists alike. It’s been my pleasure and privilege to research this wonderful book that will help to inform both children and adults about these cute (and noisy) little creatures. 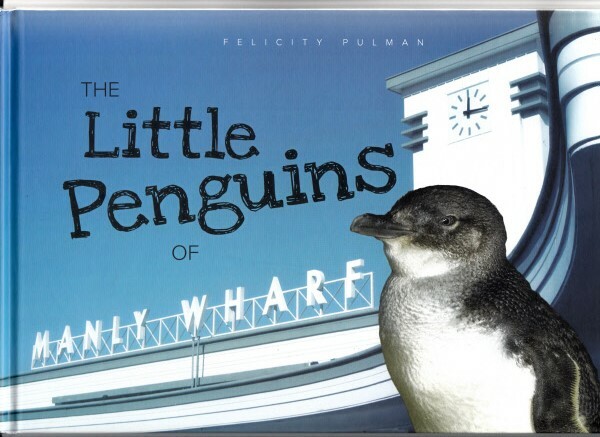 Some of the information is about Manly’s little penguins in particular, with stories about their adventures, and how various agencies (eg Taronga Park Zoo and hospital and the Manly Environment Centre) as well as the Manly community are helping to protect them. There’s information about protection (eg keeping rubbish out of the ocean and dogs on a leash) and what to do if you find a dead or injured penguin. But the book is also full of facts about little penguins in general. For example, their scientific name in Latin is Eudyptula minor, which means ‘a good little diver’: little penguins can dive to a depth between 16-30 metres. And although they can’t fly, they can swim at a speed between 4.5 – 6 km an hour. There are beautiful photographs throughout the book featuring Mr Stickybeak, Mrs Silverwing, Hopalong, Lucky and others, along with some of the personnel involved in caring for the penguins – including Toby and Anna, junior penguin wardens who tell the stories of the penguins. This beautiful picture book was published by the Foundation for National Parks and Wildlife, and retails at $20.00. For enquiries re sales and distribution, please contact Melanie Tyas: mobile: 0418 420 646 or email: mel.tyas@environment.nsw.gov.au.